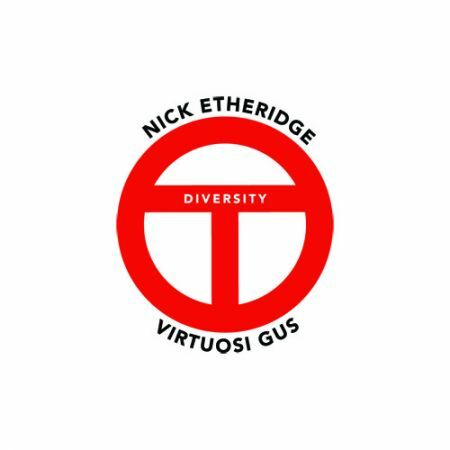 Nick Etheridge�s previous three albums have all been elaborate collaborations with composers and performers under his �Tubagility� banner projecting his vision of the modern tuba and music that�s challenging and perhaps sometimes unexpected. These projects are a labour of love, hugely satisfying, and always an enormous challenge to bring them safely from conception to completion. This new album is different and is unashamedly a project of specially commissioned solo concerto works for tuba and myself. Diversity is a grand title for a substantial work with dramatic connotations and a powerful and flexible musical form of many shapes and guises. Ultimately it�s a platform for conversation between soloist and accompanying group. Between the interwoven and distinctly individual pieces he has created an interesting as well as contrasting dialogue. The musical journey begins with a large and traditionally structured piece for British Brass Band and ends worlds apart in an eclectic �Definite Damage� Concerto for Nick�s funk, jazz and drum and bass combo, Basscraft. Sandwiched between these musical bookends are the hypnotic Pads and Riffs for ten tubas (performed on my B&S PT16 F and PT 20P CC tubas) and Diversity a 'Concerto in One Movement'. Diversity is a very different work from Rob's formally structured and 'test piece' like work and, as you might expect, extremely demanding for the soloist and highly 'tongue in cheek'. To conclude, Simon Dobson's 'deconstructed' Concerto showcases the tuba within a contemporary landscape with wild and virtuosic outer movements that contrast sharply with the intimate solo music within the heart of the piece. The breadth of contemporary styles employed is a breath-taking rollercoaster ride to bring the album to a close. Nick has worked with many prestigious ensembles such as The Royal Opera & Royal Ballet Covent Garden, London and English Brass and has worked and travelled to over 40 counties. Nick�s passion is to commission and perform innovative new works for the Tuba from Classical to Jazz and Progressive Rock. His Tubagility projects aim to take his instrument to a wider audience by commissioning and performing innovative new works with Tuba.